Steve’s dream of a relaxing holiday in Spain is disrupted when he receives an email from his brother that makes him question everything he knows about his grandfather. With only a forged passport and a coded message as clues, Steve will need all the help he can get to figure out whether his grandfather was a well-traveled businessman or a double agent. Thankfully, his friend Laia is not only beautiful, but well-versed in the nuances of Spain’s troubled history. 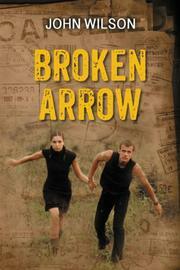 Together with Laia’s father, they are able to decipher the clues and follow the path toward a deadly secret. However, they have dangerous competition, and if Laia and Steve are unable to solve the mystery, the consequences could be catastrophic. Steve’s quest is part–Cold War mystery and part–Spanish history lesson. Unfortunately the historical details occasionally overwhelm the story, robbing the narrative of its focus. From a structural standpoint, the puzzles are satisfyingly difficult, but the mystery is too quickly solved. While the information about a little-known chapter in history is interesting and the setting is beautiful, they are not enough to sustain the journey. Even Steve and Laia’s budding romance fails to bring heat to this lukewarm story.